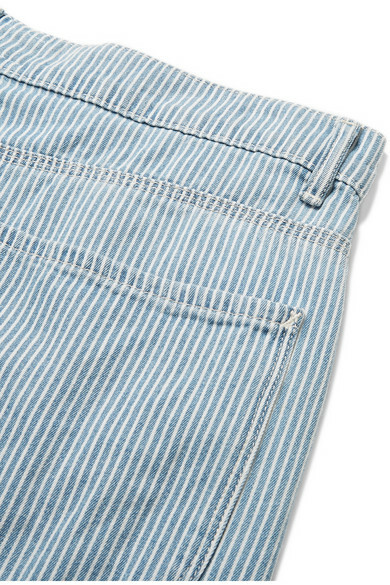 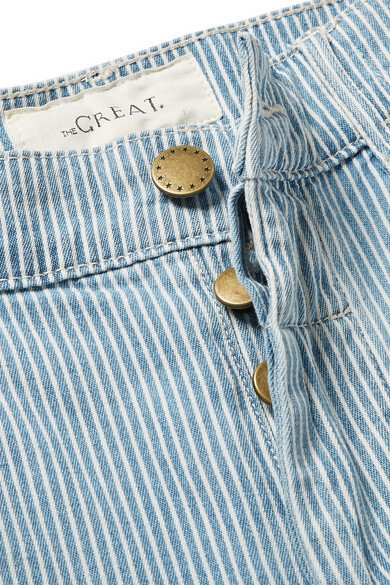 The Great's 'The Railroad' straight-leg jeans are woven with thin vertical stripes that create a neat, elongated look. 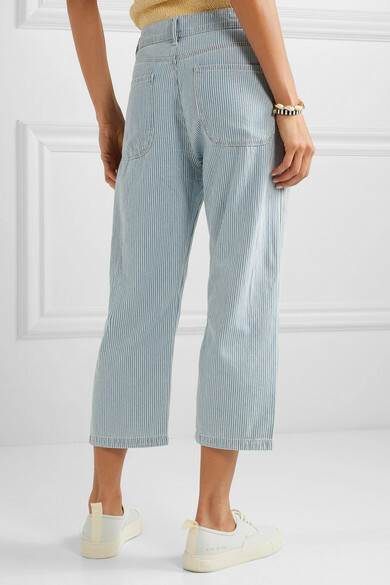 They're made from lightweight denim and sit low on the hips. 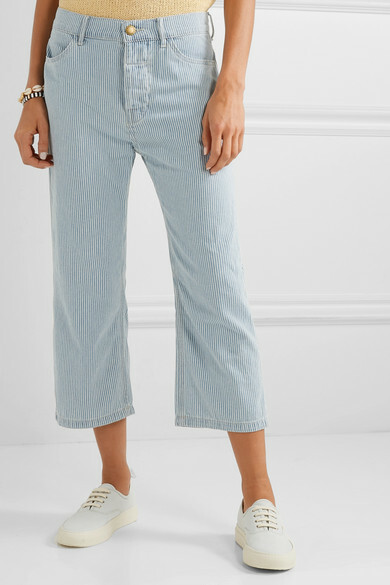 The cropped cuffs look great with high-top sneakers and ankle boots. 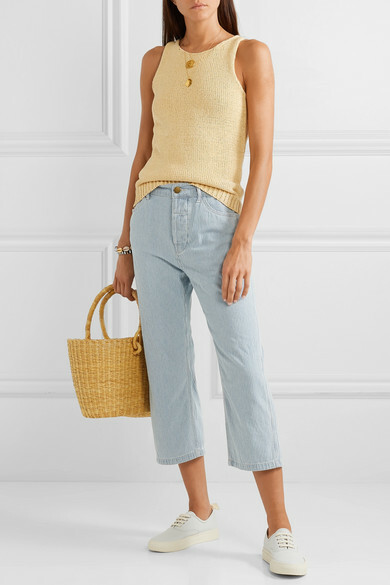 Shown here with: Theory Tank, Muuñ Tote, Common Projects Sneakers, Alighieri Necklace, Roxanne Assoulin Bracelets, Tohum Bracelet.